Yesterday I had the opportunity to attend the interment service at Arlington National Cemetery for one of our church members that passed away in December. Jesse was a Navy pilot who served 30 years of active duty with many accomplishments. He retired at the rank of Captain. Jesse was also active in Scouting leadership. But I didn’t know the details surrounding that part of his life. I knew Jesse as a dedicated church leader and as a loving and caring husband, father, and grandfather. Jesse was a good man who lived a good life. He will be missed. The service yesterday was moving and powerful. It was the first time I’ve been able to attend a service at Arlington National Cemetery. Jesse was buried with full military funeral honors. 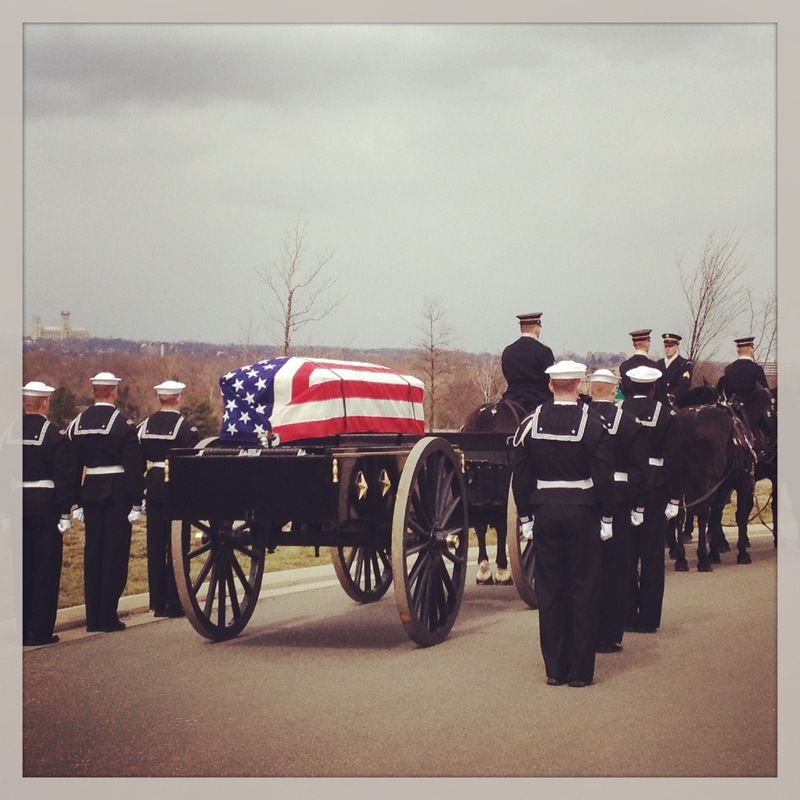 After Jesse was transferred from the hearse to the caisson (pictured above), we were able to walk behind the caisson during the funeral procession to the grave site. Our pastor led the graveside service. The whole service from the transfer point to the formal folding and presentation of the flag was solemn and dignified, and a fitting way to lay to rest a man who enjoyed a life well lived. Jesse will be missed, just as others from our church who have been buried at Arlington National Cemetery will be missed. What does ‘a live well lived’ look like? « Strasburg Shutdown: Good? Why? Great post Stephen. And a fitting question that we should all be asking ourselves!